When you are applying for a job, your recruiter does not know you in person. Even if you have tons of talents, he won’t be able to recognize it. So, in order to create the “first impression”, which most of the time leaves a long lasting effect, it is very important to make sure that your job application is being well designed and well-structured. 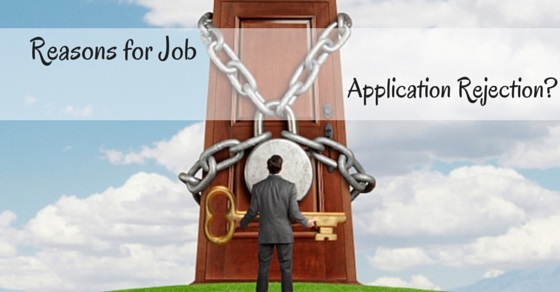 One of the vital reasons for job application rejection is by the way the application has been designed. The significance of a well designed job application is immense, especially if you are sending a blind or forced application where you would be called for an interview only if your resume is being liked by the employers. Here are important points which would make you understand why it is important to have a well formatted job application letter. A well formatted letter means that you have mentioned all the relevant details pertaining to your qualification, experience and the areas of expertise in a precise and elaborate manner. Most importantly, it helps to portray a true picture of yours, which helps the recruiters understand whether you fit into the position you have applied for. There are many departments in a company. The bigger the company, more would be the number of the departments and posts. May be you applied for the post of an accountant and didn’t mention about the post. You must have thought that your qualification and your previous job experience which you have mentioned in the application would make them understand about your desired profile. Please try and understand, they deal with hundreds of applications on a daily basis. They have no time to assess and assume. You need to inform them in a precise and clear manner. Remember, it is an application for a job and not for a membership in any club. Very often applications get rejected because they were not addressed properly. Starting an application with a “Hi” or a “Hello” can give a very casual impression of the applicant. Especially if the company believes in values and traditions. So, you are well advised to start an application letter in the formal way. Stick to the traditional way of addressing, “Dear Sir” would be the right way to go about it. Most of the time, applicants tend to use all the important first paragraph by stating about their backgrounds and personal information. Though these details are important; however, the employer won’t be interested beyond a certain point. The first paragraph must also contain enough information which would let your employer understand that you can turn out to be an asset for the company. This is a very common mistake made by the applicants. They would invariably start with their personal details and by the time they finish, they would realize that the letter has become too long and they would want to wrap it up. This doesn’t allow them to mention their skills and the areas of expertise as much as they should have. What one needs to do is to cut down the irrelevant parts and try to incorporate more details which matters. For example, his experience in the field, what sort of expertise he has, if he has received any recognition from his previous employers. The idea is simple; it is to impress the reader as much as possible. The joining and leaving date must be mentioned clearly. Similarly, it is not enough to mention about your educational qualification. The year of passing, percentage acquired, and other relevant details must be mentioned. Why do you think any company would hire you? The answer is quite simple, it is because they feel that you are eligible for a certain position and you would be able to yield the maximum output. So, in the job application, you must let them know about the way you can contribute. Unless, your employer knows what to expect of you, he won’t be able to visualize the way he can utilize you. This is a very important part of recruitment. The company must have a very clear idea about the ways in which it can make use of its manpower, unless the management is absolutely sure of it, they would be reluctant to hire. Remember, there are experienced people who would be scrutinizing your application letters. If they find even the slightest of discrepancies, they would straight ways reject your application. Most of the companies these days conduct a background check before calling candidates for an interview. If any of the data presented by you triggers the slightest of suspicions then might conduct an investigation which would certainly reveal the truth. There, the employers want to be 100% sure that you meet the job requirements in terms of your educational qualification and experience. In order to trigger their interest in your candidature, you must attach copies of relevant documents along with the job application letter. Being a professional, you are expected to be correct with your grammar and spellings. Silly grammatical and spelling errors can spoil your entire effort which you have put in to design the application letter. Besides spelling and grammatical errors, one very common phenomenon is typing errors. As already mentioned, it is through your application letter the recruiters would get an idea about your personality. These errors, which can be easily avoided must to be taken care of while writing an application letter. They alone could be the cause of rejection, no matter how appealing your profile might appear to be. This is another very common reason which leads to rejection. Applicants, especially the inexperienced ones tend to believe that the companies don’t always mean what they have specified in their requirements for candidates. A year short on experience or not meeting standards in other aspects is not a big deal; this is a common notion which seems to be prevailing among the job seekers. Let me assure you, this is an absolutely wrong notion. Companies want precisely what they are looking for. They won’t accept anything short of their expectations. It might sound a bit odd, but the fact of the matter is when you are applying for a job, you are trying to sell your self. Your application letter acts like an advertisement tool. If it doesn’t grab the attention of the employer, then it will be rejected. So, in order to make sure that your job application letter triggers interest, it must be designed and formatted in a proper way. Remember, you must follow the set standards of writing an application letter. The formal way is always the best way to create your letter. People tend to mention their expected salary in the application letters. However, at times, they quote an amount which is much higher than what they deserve or what the company has to offer. This is one of the major causes of application rejections. If the company feels that you don’t deserve what you are asking for or the job profile doesn’t fit into that pay scale, then they won’t waste much time on it. Some companies might get down to negotiation, however, that depends on the amount you have quoted. If it is far more than the industry standards, then they won’t take the trouble of further communication. These are some of the reasons which can lead to the rejection of job applications. Apart from these, there are other factors which can lead to such an outcome. If your application ends up in a bunch which contains applications from other individuals who are far more qualified and experienced than you are, then your chance of getting selected have gone for a toss! There isn’t much you can do about it; however, what you can do is to make sure that you have been flawless at your end. The job application letter needs to be well articulated, must be formal and appealing at the same time. If you are not sure about the format of an application letter, then you can look for it over the internet. People tend to take the aspect of job hunting quite casually; however, as a matter of fact, this is the most important part. Your job application is one document which would trigger interest among the recruiters who would then go ahead and call you for an interview. So, make sure that you have designed a well formulated job application letter.